Take up to 50% off on weding gowns at the Ruth Milliam Sample Sale. DM on instagram to book an appointment. 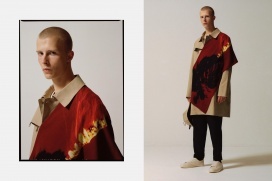 Shop for men's apparel at reduced prices at The New County Sample Sale. Enjoy up to 80% discount on women's apparel at the James Lakeland Sample Sale. The sale will be comprised of stocks and samples in various sizes. Shop for womenswear at various discounts at the Story of Lola Sample Sale. Shop for plus size women's apparel at reduced prices at the Anna Scholz Sample Sale. Take up to 70% discount on women's accessories and apparel at the Chinti and Parker, Pomandere, Forte Forte, & Queen and Belle Sample Sale. Shop for accessories and apparel for women at reduced prices at the Mary Katrantzou Sample Sale. 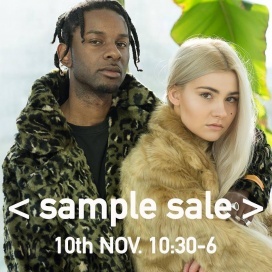 The Goat Autumn Winter '18 Sample Sale will feature women's apparel at various discounts. Cash, credit card, and cheque payments accepted. Shop for wedding dresses at reduced prices at the Phillipa Lepley Surprise Sale. Price ranges from £8,000 to 15,000. Take up 70% discount on women's apparel from Jitrois at the Sample Sale. - Take up to 75% discount on women's RTW, purses, bags, and footwear at the Mulberry Sample Sale. Take up 70% discount on women's apparel from Jitrois at the Sample Sale. Shop for wedding dresses at reduced prices at The Wedding Club Sample Sale. Call +44 20 7581 9540 to book an appointment. Shop for kids' apparel at reduced prices at the Minene Sample Sale. Shop for tights, sports, ski wear, and socks for men and women at reduced prices at the FALKE and Burlington Sample Sale. Legwear are available for £2 and sportswear for £10 only. 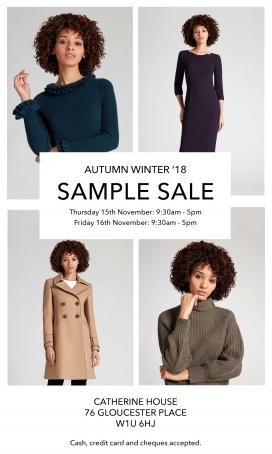 You're invited to The Fold Sample Sale Prices start from £45. Clothing avaliable in size UK 6-16 - subject to avaliability Cash and credit cards accepted.